Johannesburg - A number of Serbian coaches have made a mark in South African football. Some arrived as unknowns and left empty-handed, while others left a lasting legacy. 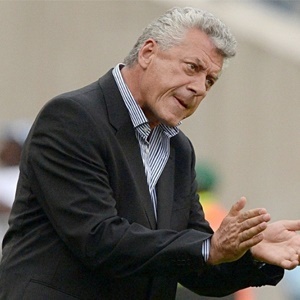 Kosta Papic and Vladimir Vermezovic share the distinction of having coached Kaizer Chiefs and Orlando Pirates. Papic was the first to grace our shores – back in 2004 when he joined Orlando Pirates. Despite not winning anything, the Buccaneers played an entertaining brand of football under “Bill Clinton” – so named for his resemblance to the former US president – and the team was called the Happy People. He came close to winning the league title twice, but fell short in the last hurdle when the team finished as runners-up to Kaizer Chiefs in 2005 and to Mamelodi Sundowns in 2006. That was as close as he came to winning anything. He left after failing to deliver the league title he had promised. It has been a downward spiral since then for Papic; he has hopped from one club to another without success. He was replaced at Pirates by his compatriot Milutin Sredojevic in 2006. The Serb, then 36, enjoyed relative success in continental competitions after guiding Pirates to the semi-finals of the CAF Champions League in 2006. But he was fired the next year after a string of poor results. Vermezovic was next to arrive in 2009. He enjoyed a successful stint at Chiefs. Better known as “VV”, he won two Telkom Knockout titles, in 2010 and 2011. He later joined Pirates, but underachieved and was sent packing in 2014 after delivering only the Nedbank Cup. Zoran Filipovic coached Golden Arrows between 2010 and 2011, but also left after failing to deliver.